Kuala Lumpur-based photographer AbedenMung said in his tweet that the photograph was taken at a construction site in the Malaysian capital. Many Twitter users were in awe of the man's chiselled features. 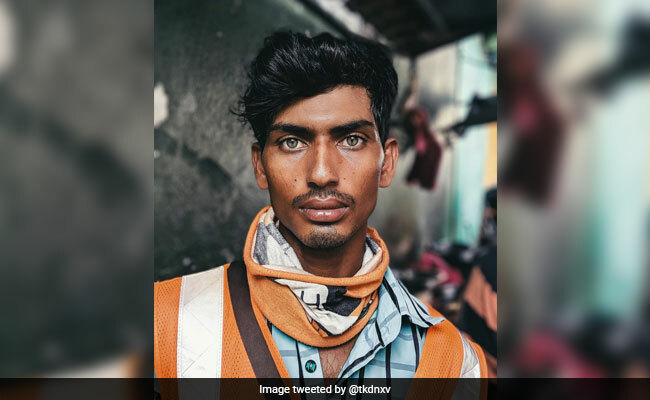 A close-up photo of a Bangladeshi construction worker in Malaysia has captivated social media users worldwide, the media reported on Tuesday. The photo shows the worker with light eyes and chiselled features, staring intently into the camera, The Daily Star Bangladesh reported. The photo, which has gone viral, garnered 24,500 retweets and 68,700 likes since it was posted by MaAbedenMung on Twitter on March 21. "He was very shy. He didn't really know where to look at, maybe because this is a phone? I pointed to the camera many times, and many shots were not good. It was only until he truly looked at the camera. I finally got it. Isn't he beautiful?" he tweeted. One said the photo reminded him of the 1984 National Geographic cover of Sharbat Gula, which was photographed by journalist Steve McCurry. Sharbat Gula was known as the Afghan girl with striking green eyes in a red headscarf looking into the camera.